A home tech pro is like other professionals – we notice certain issues (with technology) that others might not see. Like a mechanic that hears that your car isn’t right, or a physiotherapist that notices poor posture, or a singer that hears off notes when it sounds good to the rest of us. We’re often pulled into new homes that we were not involved with where things were missed because home tech was an afterthought. Here are some of our observations from the field. We’re surprised when we see easy (and inexpensive) details missed in new builds. You should use recessed wiring boxes for wall mounted TVs locations. 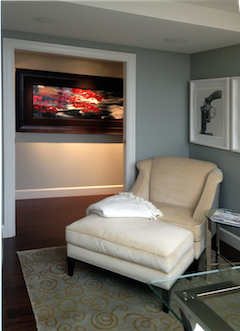 Recessed boxes allow mounting TVs closer to the wall to help minimize impact on room aesthetics. Exposed TV wiring is another issue. 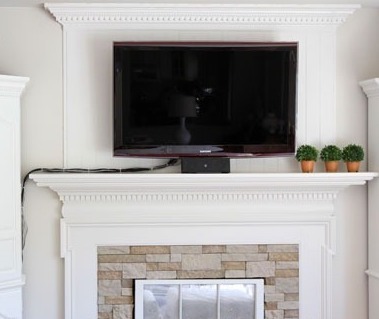 If a TV is to be over a fireplace, there should be a conduit (pipe for wires) in the wall to hide the wires. 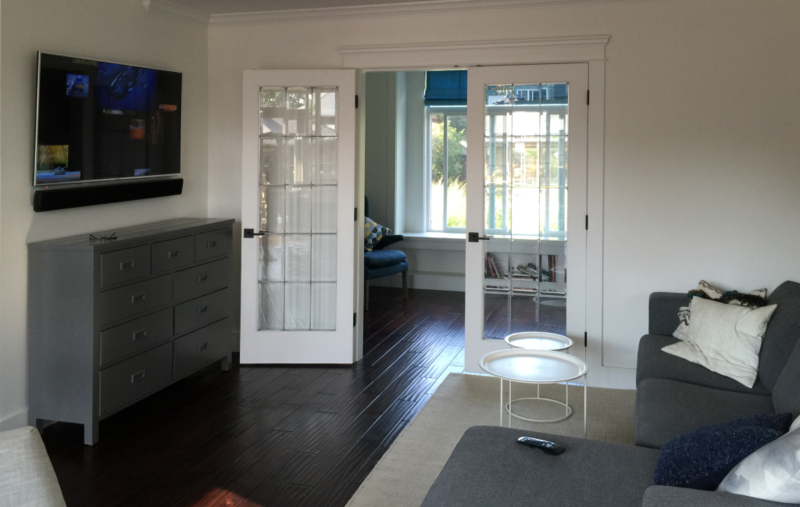 Most home owners or designers have decided where a TV is going to go, so make it ready to hide the wiring. The other piece of the puzzle is where to put the cable box, Apple TV, Blu-ray player, etc. These can sometimes be hidden behind the TV, but otherwise plan out where to put these boxes. If you’re not sure, talk to a home tech pro. It will make a big difference in the look and feel of your home. If your system is just a cable box and a TV, then you’ll likely be OK with just the cable box remote to use them. The issue is that every time you add a piece of gear, e.g. an media steamer like an Apple TV, all of a sudden you’re juggling multiple remotes depending on what device you’re watching. Often it’s only one or two people in the house that actually know which remote controls what device. Not everyone has the desire or budget to spend their money on audio/visual equipment. For those who do, budget in for a universal remote control. 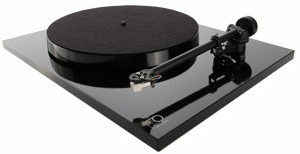 There is no point in spending lots of money on an amazing system if its hard to use. Depending on your needs, a universal remote can start under $100. A proper remote should be part of the mix and budget if your system involves more than two or three devices. You can talk with a home tech pro for assistance for more complicated systems. People expect Wi-Fi to work everywhere in their home. Unless the home is small or you’re lucky, this can’t happen with just the Internet Service Providers Wi-Fi router. You need to use separate access points to make Wi-Fi grace every corner of a home (and outside!). Although we’re advocates of using Ethernet wiring everywhere you can, you must at least have in-wall wiring for Wi-Fi access points as needed. We were recently called in to a new home where there were no in-wall Ethernet wires installed for anything, Wi-Fi or otherwise. This was unfortunate as we had use expensive adapters to allow Internet over TV coax cables for Wi-Fi Access Points. The Wi-Fi coverage is much better now, but not ideal due to coax cable location limitations. Now everything has to use Wi-Fi. TVs, computers, printers, etc, can’t be wired and are slowing down Wi-Fi only devices like smartphones. Take a look at your living space, and make sure there are network wires for things like TVs, computers and Wi-Fi access points. It may sound snobby, but we really notice when things look or sound off. You don’t have to spend massive amounts of money for decent equipment. Yes, high end stuff can be expensive, but riding the value curve gives impressive results with a reasonable price tag. People may try to ‘save’ money by installing less quality gear like ceiling speakers. Some may not immediately notice that their system sounds bad, but they use it less and less as its fatiguing. Often when they walk into someone else’s home, they’re wowed and wonder why it sounds better. 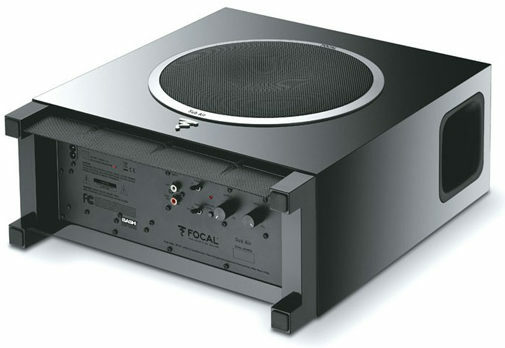 Balance your budget for all components – a cheap TV or cheap set of speakers will limit the performance of the rest of your equipment. Make sure these kind of issues are addressed when you’re building or renovating. If you feel its out of your comfort zone, then reach out to a home tech pro to get some help. We often get asked about what smart home technology upgrades are possible without major or costly renovations. Thankfully there is much that home owners and renters can do that doesn’t involve costly or messy construction work. Here is an overview of simple-to-implement home tech that our clients are most interested in. Many of our clients last upgraded their TVs when the original flat TVs dropped in price and these TVs are getting to the point that they need to be replaced. 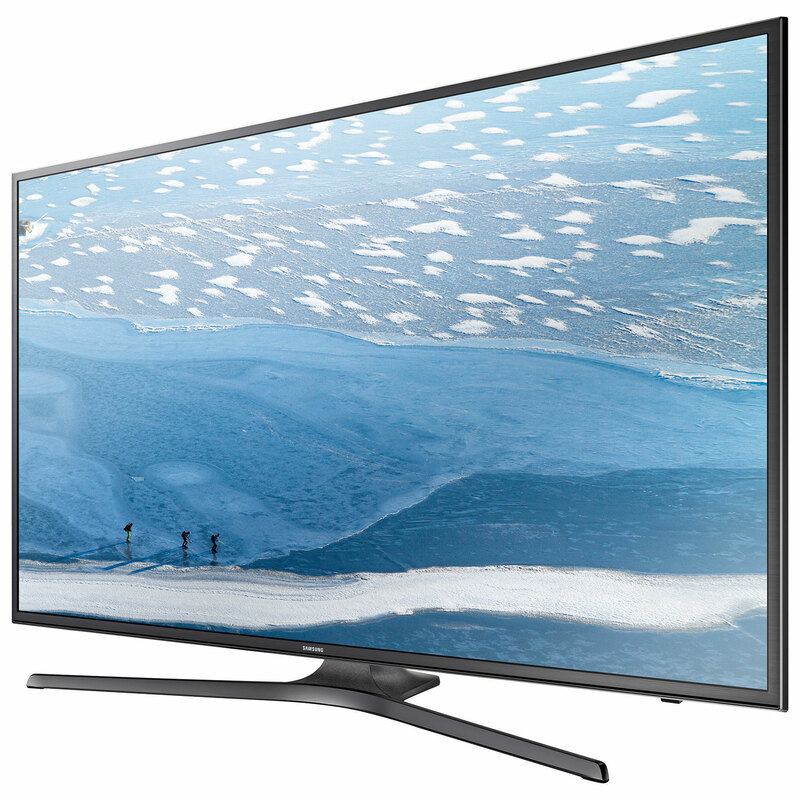 The timing works out as the next generation TVs, 4K TVs, are great value. They also come with smart features for watching streaming services like Netflix or showing pictures from your smartphone. While our clients are updating their TVs, they want the wiring and remotes cleaned up and simplified. 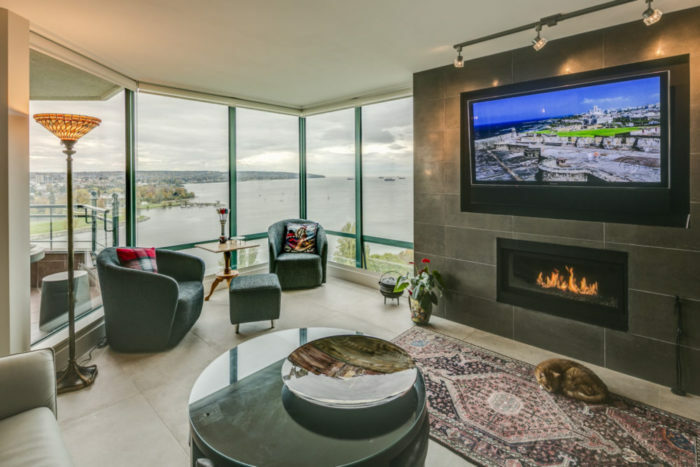 We help them update and organize their digital audio/video worlds by determining which smart TV features work for them and provide programmed universal remotes to make it all easy to use. 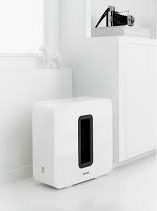 Our clients are often curious about wireless speakers or have gotten the wireless speaker bug and want help expanding on it. 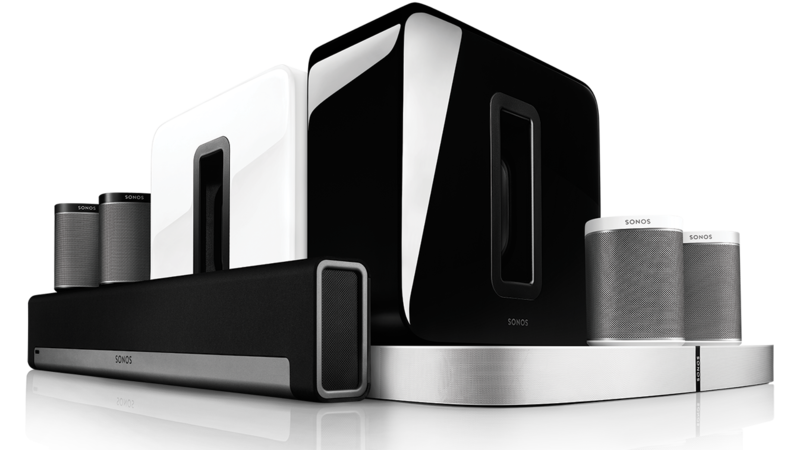 Wireless speakers like Sonos and Bluesound, and streaming music services like Spotify and Deezer have revolutionized the way we listen to music. 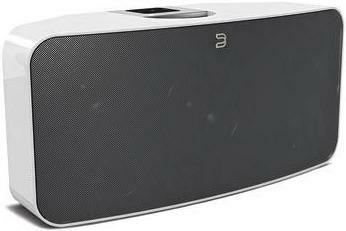 These great sounding speakers require a Wi-Fi network and power. 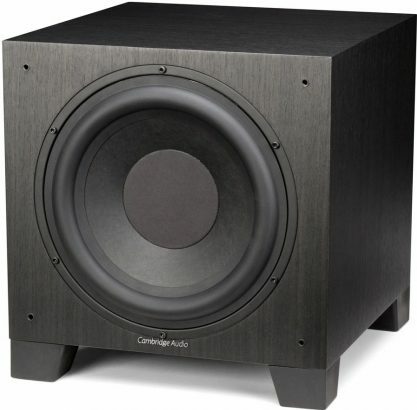 You can also use them to augment that new 4K TV for updated sound for TV shows and movies. There is a lot of interest in updating light switches to smart dimmers and switches. 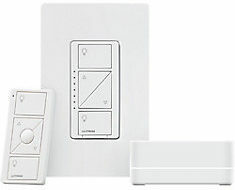 Companies like Lutron and Leviton have very functional dimmers and switches at reasonable prices. They are also inter-compatible with other home technology upgrades such as wireless speakers and thermostats. While most devices replace your current light switches, there are also plug models that allow you to smarten up lights like floor lamps without any re-wiring required. From then on, you can control your rights from your smart phone or on smart timers when you’re away. These are not only convenient for everyone with features like lights that come on when you near your home, but may also be and asset for seniors and disabled people to simplify lighting control for them. Automated shading is also growing in popularity. There are reliable battery powered options, so you don’t have to have your windows wired for power. People want these shades for privacy, light blocking and energy savings. Sometimes clients want convenient shades that open and close timed with sunrise and sunset. Maybe its to keep a bedroom dark when enjoying a sleep in. Sometimes it helps block out the afternoon sun before it heats their home like an oven. Whatever the reason, they can have great looking shades that are smart and easy to use. Plus, you will never have to worry about operating them in difficult to reach places like high windows. It seems that everything in our lives these days requires Wi-Fi. When your building or renovating, you can make sure all the right wires get put into your walls to help create the perfect Wi-Fi system. For older homes or condos, you sometimes have to look for another way. As mentioned in the past, mesh Wi-Fi products provide a decent Wi-Fi system to use in these tricky situations. There are many simple home technology upgrades available for those who want to smarten up their homes but are not building a new home or doing an involved home renovation. We’re always happy to help them, and its rewarding when we get to see their faces light up like kids on Christmas morning when they first use their new upgrades. Most people want to hide technology so they don’t see their home’s audio and video gear. You need to see the TV while you’re watching it, but other gear can be hidden in a cabinet or closet. The good news is that there are ways to control the hidden gear – these include IR repeaters, universal remotes with hubs, and control systems. We first need to understand how audio and video gear is controlled. 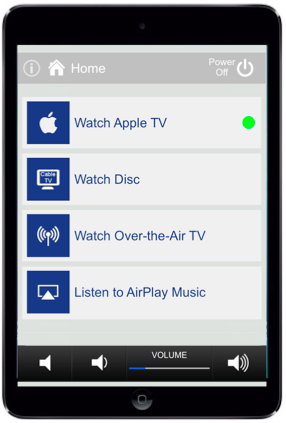 Most devices like TVs, cable boxes, AV receivers and blu-ray players use IR remotes. IR, or infrared, is light that we can’t see that is used to carry control signals. Some higher end devices like TVs and AV receivers can also be controlled with a serial port. 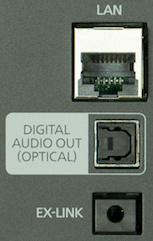 This is a special communication port that gives full control of the device. 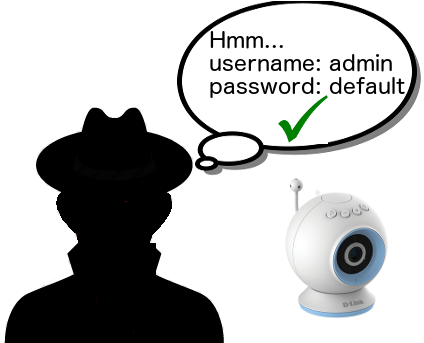 More and more devices are also including control using your home’s computer network as well. Some devices can also be controlled with wireless technologies like Bluetooth. For example, Sony only allows the PS4 to be controlled by their Bluetooth remote or game controllers. An IR repeater is a simple and affordable way to get the IR signals into a cabinet. These require a sensor somewhere outside the cabinet that receives the signal, and then the signal is sent to one or more IR transmitters (IR LED lights) inside the cabinet. Usually these work best for a simple system like just a cable box hidden away. Not all IR signals are the same, so some may not be properly repeated inside the cabinet. The gear can’t be too far away either, as repeaters aren’t made to cover long distances. Although quite small, you also need to find a place to put the sensor that isn’t an eyesore in the room. Finally, of course, these will only work with IR controlled devices. The next step up is to use a universal remote that includes a hub or base station that is placed inside the cabinet. 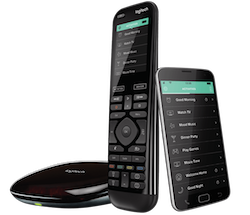 With these remotes, such as the Harmony Ellite, the remote uses a wireless radio signal to talk to the hub, and the hub then sends the IR signals. These systems will allow for equipment placed a bit further way, but its best to keep components within the same room. It should be noted that IR is one-way control. 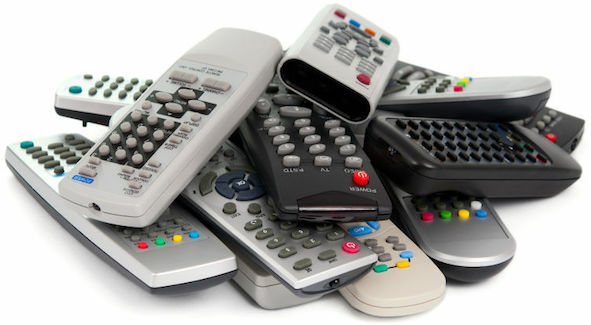 An IR remote has no knowledge if your TV has turned on or is set to the right input for example, so some of these remotes have help features to fix issues when hiccups like these happen. 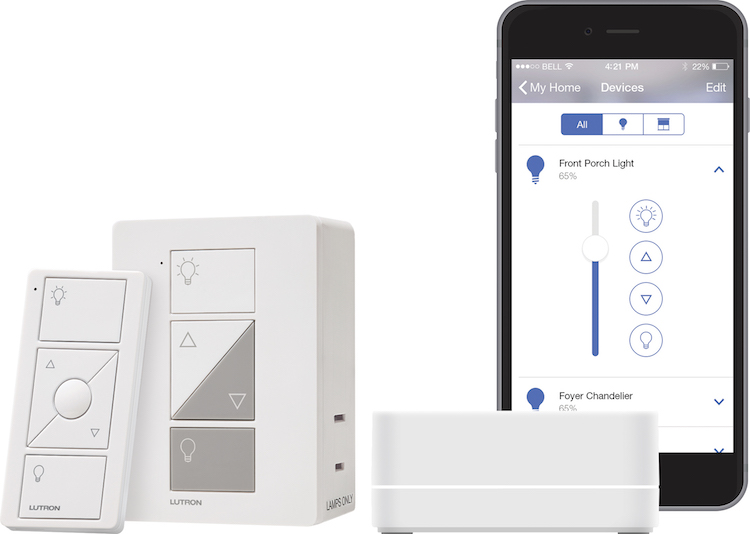 These types of remotes often include control for smart home products like Sonos and Lutron Caseta as well. 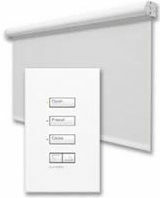 If you want complete control, then you can choose a home control system such as an RTI system. These powerful systems can take the complication out of a TV room, an elabourate home theatre or smart home to make it easy to operate. You can choose to use hand-held remotes, smartphone or tablet apps, wall touchpads, or any combination of these controllers. These offer two-way control of many devices using a serial port or network connection, so it can determine if devices (like your TV) are on, and all the components are set to the right input, etc. While IR repeaters and many universal remotes are good for a do-it-yourselfer, you’ll need a professional to set up a home control system. It can even be setup to run things like lights and heat without you needing to do anything. You have options if you’d like to hide technology out of sight. Tech is always changing, so not all control options will control all devices. If you’re handy, maybe you can set up a IR repeater or universal remote yourself, or maybe your want a professional to figure out what will work and set one of these up for you, Whatever you choose, make sure that there is adequate ventilation or fans to keep your gear cool as electronics can get hot. As always, let us know if you’d like a hand getting the right solution set up for you. It seems that everything we do these days from checking Instagram to streaming Netflix relies on good network connections within the home and to the Internet. We talked about how to build a great home Wi-Fi network, but there is a lot more to the story for a home network – its the wired network that does the heavy lifting. A great wired home network requires proper cabling in the walls, planning where to run the cabling, and the proper equipment. The first part to get right is what cabling to put into your home’s walls to get all your data moving around with ease. Our go to is Cat 6 networking cable, as it offers good data rates, reasonable cost, and good workability for electricians to pull through a home. It offers 1 Gbps data rates (current top speed of consumer gear), and for lengths of up to around 30-50 meters, it should be able get up to 10 Gbps. The next step up in network cabling is Cat 6a. It allows up to 10 Gbps up to the max 100 meters. Cat 6a can run higher data bandwidths because its eight wires are twisted together with more careful spacing than Cat 6. But this makes Cat 6a more expensive, thicker and harder to install. These Category (“Cat”) cables can also be be shielded with aluminum foil to help keep electrical interference away. This ensures data rates can be as fast as possible. Cat 7 takes it to another level and cost. Its also worth looking at fibre optic cable, as fibre can allow 10 Gbps, isn’t bothered by electrical interference, and costs are coming down. Fibre is also getting easier to work with as companies like Cleerline are making more rugged optical cable. Next, you have to think about where to run cabling to. Run it to all the places that need data: AV media rooms, Wi-Fi access points, computers, printers, etc. Basically run to anywhere you would conceivably have home tech that can be plugged into the network. This way your Wi-Fi is left for devices like smart phones and tablets. Although running cables isn’t free, its way more cost effective and convenient to run wires during construction than after the fact. To mitigate costs and maximize future proofing, you can have a dual strategy: run Cat 6 as usual, and double up runs to places like AV media centres with something like shielded Cat 6 or optical cable. As devices like media streamers will likely be increasingly data hungry, especially with 4K UHDTV, this should help cover you for the future. Finally there is the networking equipment like routers and IP switches that actually enable your home’s network. As mentioned earlier when focusing on the Wi-Fi part of your network, cheap gear is, well, cheap. If you and you family use and value your home network for activities like work, streaming media, and playing video games, then there is likely a lot of data pumping through your home. Even an average family home uses more data and Internet bandwidth than most people realize. Imagine what happens when you layer on even more home tech like 4K TV content, lighting automation and video surveillance, This is why your network gear needs to be well thought out for functionality, performance and reliability. You need to choose all network routers and switches to handle your home data load without bottlenecks. Fast equipment like 1 Gbps is common now, but gear must also be trustworthy. It may be tempting to try save money and buy equipment that is less expensive, but you need gear that is designed to be robust and run pain free for years. You end up paying for it one way or another. Some professional home tech equipment allows for remote fixes as well – a nice feature so you don’t have to wait for a scheduled service appointed if something does go wrong. Planning a home network may be a lot to think about, but the reality is that technology in the home is only growing and needs the right foundation. It will be well worth the cost and effort to get it right when you’re building or renovating – use the right cable, to the right places, and with the right equipment. As with anything in your home, from painting to hot water tanks, some maintenance is expected, but its minor when your network infrastructure is solid. With a well designed network, you and your family can just focus on doing the things you enjoy. Home Wi-Fi networks can’t be ignored. Not that long ago, you could go down to the local electronics big box store, buy a $99 Wi-Fi router, connect your laptop to the Internet, and call it done. These days most homes have a growing number of devices, and Wi-Fi networks are stretched extremely thin. You can apply the basics about how to get better Wi-Fi to help coverage, but if you’re building or renovating, you need to step it up to ensure your home will be fully functional now and the future. Let’s take a closer look at planning the wireless part of your home network. You may think that there aren’t many Wi-Fi devices in your home, but you’ll likely be surprised if you count up your smartphones, tablets, laptops, Apple TVs, smart TVs, etc. It gets more complicated as people add devices like surveillance cameras, smart locks, smart thermostats and smart lighting. Pile on the fact that today’s devices are increasingly data hungry with the likes of HD video, and you’ll quickly understand why basic wi-fi routers and Internet Provider supplied gateways just aren’t built to take that kind of abuse. Poor Wi-Fi coverage is the first thing that most of us notice with our home networks. Perhaps its a bedroom where the Wi-Fi barely works or a TV room where the Apple TV takes what seems like forever to play Netflix. The first step is to plan to use wired connections wherever you can. For example, media players and smart TVs usually have an Ethernet port, so build in Ethernet wiring into your home to connect to anything that has an Ethernet (or LAN port) available. The second step is to build your home to allow for additional Wi-Fi access points. Access points, like the Araknis Networks’ 100-series Access Point, are similar to Wi-Fi routers, but just have the Wi-Fi part. 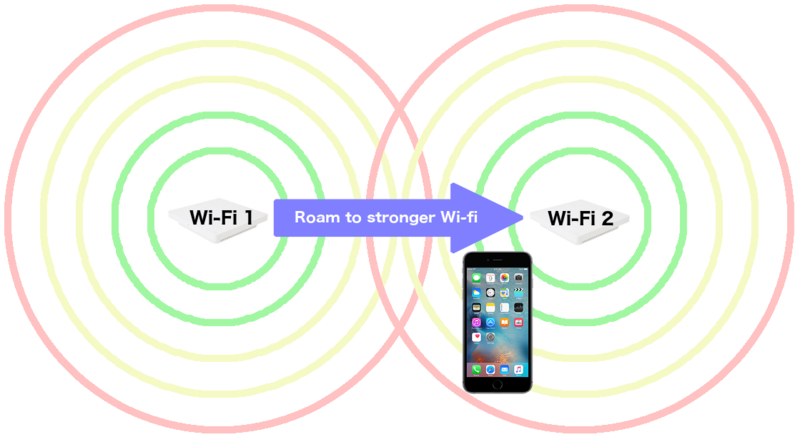 This will allow you to add ‘hot spots’ to expand your Wi-Fi coverage into dead spots. These can be tucked out of sight, such as in a closet, or discreetly on a ceiling. This way you don’t have to worry if your Wi-Fi router in the basement will reach to the top floor or if your home’s construction materials are blocking Wi-Fi signals. The third step is to invest in good quality networking gear. A cheap Wi-Fi router from a big box store will give you a cheap experience – poor coverage and clogged data. If you have basic needs (one or two devices, no streaming media) and low expectations (don’t mind waiting), then a cheaper solution may work for you. Chances are though, that you’ll need several devices, including a Wi-Fi router, access points, etc. Invest in Wi-Fi networking gear that will provide good coverage and reliability. Better manufactures also provide high-end or business grade Wi-Fi wireless controllers that include allowing your devices to roam properly in your home. For example, this will connect your smartphone to a stronger access point when you move around in your home, instead of it holding on to a signal as you move too far away from it. Not only is higher-end equipment made to work well together, you can expect it to handle higher data and device loads. The right equipment will pay dividends in the future. You need to put a reasonable amount of planning and investment into your Wi-Fi networking design. In the future, we will look deeper into best practices for the wired part of your home network as well. This will propel your home network into a stable and enjoyable backbone for your entertainment, smart home and work devices. 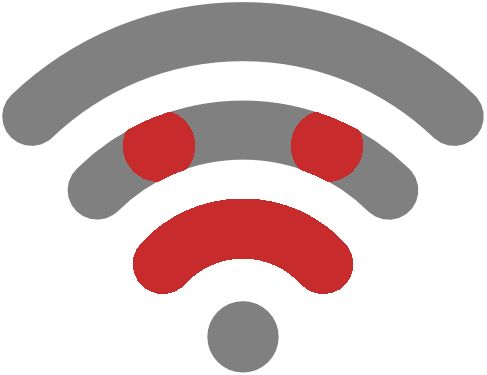 So go ahead, and turn that Wi-Fi frown upside down!